The earthy sweetness of parsnips makes them a delicious accompaniment to hearty, meaty dishes. 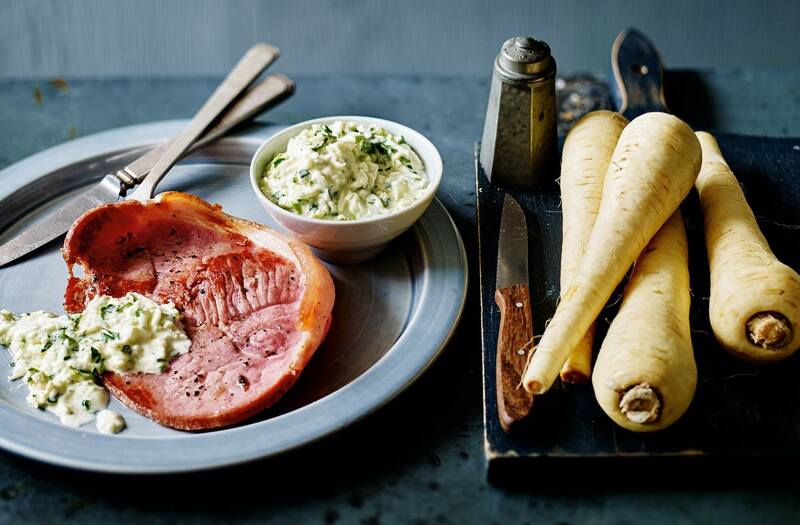 In this recipe, tender, juicy gammon steaks are complemented beautifully by a fragrant, citric and luxuriously creamy parsnip and apple remoulade. In a large bowl, combine the parsnips and apple. Add the lemon juice and toss to coat. In a separate bowl, mix the crème fraîche, mayonnaise, lemon zest and mustard. Spoon it over the parsnip mixture and toss to combine. Season to taste, then stir through the parsley. Set aside while you fry the steaks. Heat the oil in a large frying pan set over a medium-high heat. Season the gammon steaks and fry for 5-6 minutes on each side, until cooked through and golden. Serve immediately with the remoulade.